1. Hurry up and wait. The only thing better than clicking on the Complete My Order button is not clicking on it—at least not right away. If you wait a couple of days, you may get an extra email discount offer from the seller. Why? They think you need a little push to complete that clothing or electronics transaction. They sweeten the deal in order to close it. Sign up for their email alerts and have patience. It’s a virtue with value! 2. Seek out coupons and use them wisely. Most people know about signing up to get a retailer’s email offers. But wait, there’s more! If you do a quick Google search for digital coupons, you can combine the two and clip the price down even more. When ordering, enter deal codes that take a certain percentage off first then plug in the ones that give you a specific dollar amount off. See for yourself the difference it makes. 3. Know the right day to shop. Companies have done their homework and know the best days for raising or lowering their prices. Use that to your advantage. Want a good deal on books? Saturdays are usually when you find them. Jewelry? Buy your bling on Wednesdays. Clothes? Thursdays. Buying on the right day can make your day! 4. Show your loyalty. 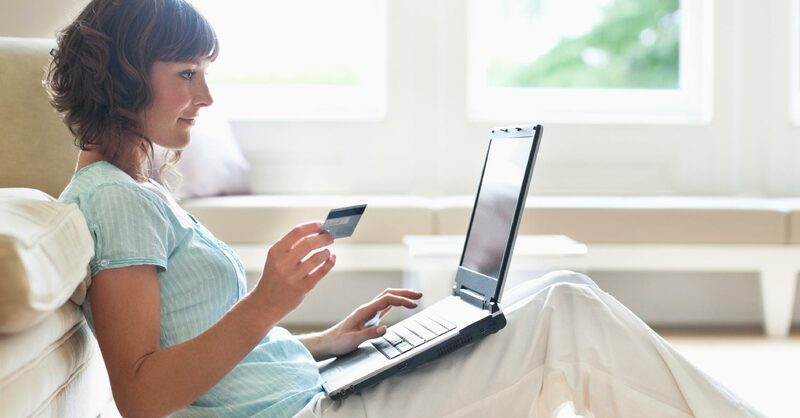 Sign up for loyalty reward programs if you shop frequently on a certain website. Your points toward discounts or gifts pile up as you make purchases. Don’t go overboard on buying stuff just to build up points, and never sign up for credit cards, even if they offer rewards. But do put the loyalty system to work for you. 5. Be a little social. Follow your favorite places to shop on social media. They’ll send you coupons, sales alerts and other goodies just because you click the “like” button on their Facebook page or follow them on Twitter. This is one of the easiest ways to save, if you don’t mind the company showing up in your feed. And why should you mind? You like them, right? 6. Don’t overpay on shipping. Tons of companies let you skip the shipping charges if you spend a certain amount on your order. Bump up the odds of that happening by making a list of the clothes, electronics or jars of spices you want and ordering them all at once. And since you aren’t desperate for that Prada sweater or paprika jar, don’t pay to have it overnighted to you. Four to 14 business days will work just fine. Looking for little discounts in the online shopping world frees up money in your budget. Those small savings add up, and you can use that money to save for Christmas or pay off a debt! Create a free online shopping budget now with EveryDollar!